Industry 4.0 technologies are changing the way manufacturing facilities operate. If you are in the MedTech sector, you will have first-hand experience of this through technologies like automation solutions, controls solutions, robotics, vision systems, and more. These technologies as well as emerging technologies – machine learning, artificial intelligence, virtual reality, augmented reality, etc – present manufacturers with significant scope to make their operations more productive and efficient. Industry 4.0 is about more than productivity gains and efficiency savings, however. This is because they are also changing business operations away from the factory floor. For example, Industry 4.0 technologies make it possible to integrate supply chains and customer service operations with production lines. Industry 4.0 technologies are also creating new opportunities for manufacturers, such as mixed manufacturing and the personalisation of products. There’s a challenge that must be overcome, however, a challenge faced by many companies involved in manufacturing in Ireland – the availability of engineers with the right skills. Furthermore, engineers designing, implementing, and maintaining new, Industry 4.0-based solutions for the manufacturing sector will need a broad range of skills rather than focusing on a particular area of specialty. These skills include electrical, mechanical, controls, and validation engineering skills. It is the skills shortage described above that a new initiative called E-Cubers is seeking to address. The aim of E-Cubers is to promote Equipment Engineering Excellence and encourage young people at all levels of education to firstly consider becoming an engineer and, secondly, consider becoming an Equipment Systems Engineer. Equipment Systems Engineering is a new field of engineering, but it is one that is becoming increasingly important. Keith Moran is the Managing Director of SL Controls, an Atlantic MedTech Cluster member. He started E-Cubers alongside SL Controls co-founder, Shane Loughlin. Keith said: “E-Cubers is a not-for-profit initiative that brings together industry and the education sector to address the real-world need for specialist engineers. “Ireland’s MedTech sector is something everyone in the country should be proud of. To stay at the cutting edge of this fast-moving sector, however, we need to innovate, we need to increase productivity, and we need to find efficiency savings at all stages of the product lifecycle. “Industry 4.0 makes this possible, but we need Equipment Systems Engineers to make it a reality. 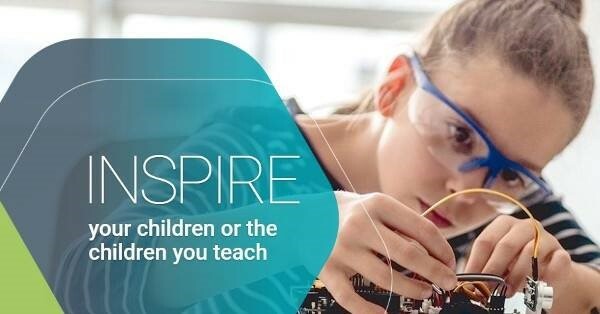 “There are girls and boys in secondary schools across Ireland, as well as young women and men studying engineering degrees in our colleges and universities, who are the future of Ireland’s MedTech, and wider manufacturing, sectors.